WE ARE SO EXCITED ABOUT OUR SECOND ANNUAL WINTER RETREAT! JUST LIKE SUMMER CAMP ONLY IN THE WINTER! COME BACK AND EXPERIENCE ALL YOUR FAVORITE CAMP ACTIVITIES, SEE YOUR FAVORITE COUNSELORS AND FRIENDS AND SO MUCH MORE! 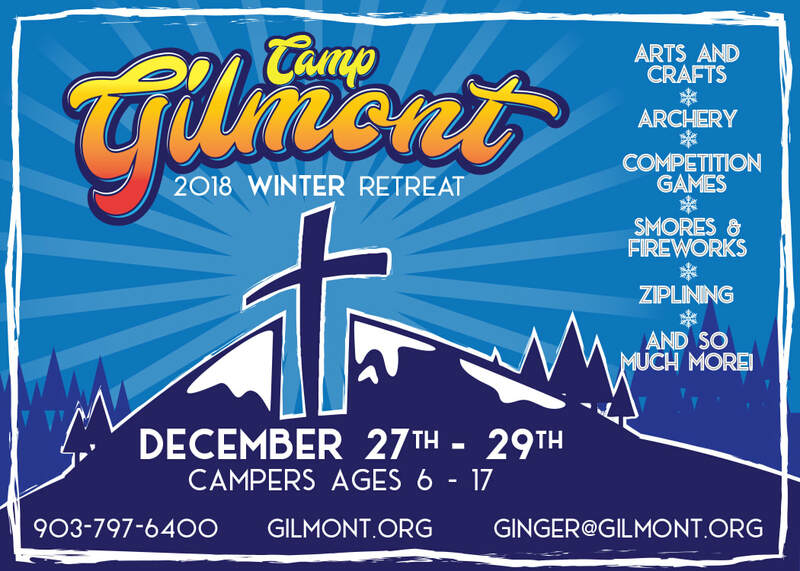 JOIN US FOR WINTER RETREAT AND RECEIVE A BONUS! 10% OFF THE AMOUNT YOU PAY BY JANUARY 31ST FOR SUMMER CAMP 2019! *A NOTE FOR CHURCHES-THIS EVENT DOES NOT REQUIRE ADULT SPONSORS OR LEADERS. BUT, FAMILIES REGISTER AS A FAMILY AND OUR COUNSELORS CARE FOR THE KIDS.